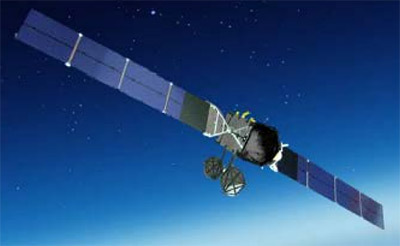 SKY Perfect JSAT Corporation announced in April 2014 that it has concluded arrangements to procure Superbird 8, a successor to its Superbird-B2 communications satellite. In orbit, it will be named Superbird B3. The new satellite is to take the place of the aging Superbird-B2 satellite in geostationary orbit at 162° east longitude which will reach the end of its designed service life in FY2015. Superbird-8 is planned to launch in the second half of FY2015 (scheduled). It will carry high-performance Ku- and Ka-band transponders and will provide satellite communications services mainly in the Japanese market. Also aboard is the DSN 1 X-band communications payload built and operated by DSN Corporation for the Japanese Ministry of Defense. Superbird-8 is based on the Mitsubishi Electric Corporation (MELCO) DS-2000 bus and will have a service life of 15 years. The satellite was damaged in 2016 during transport to the launch site, with the required reapair delaying the launch by about two years, with JCSat 16 to fill in for the Ku-band and Ka-band capacity.